Kitchen detail at The Weekender in Daylesford. Caesarstone bench and custom cabinetry. White subway tiles, very subtle. Wood shelves. 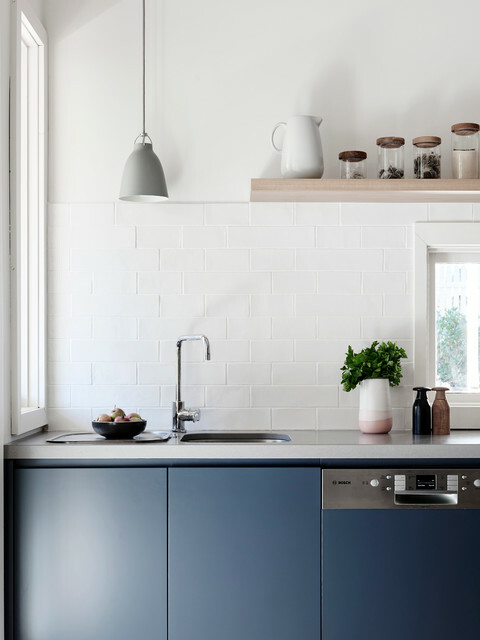 … while pristine benchtops and open shelves, styled to perfection, will give your kitchen a polished look that’s chic and sophisticated.